Are you looking for a friendly, professional and supportive base in the heart of Norfolk from which to grow your business? Then Wayland House could be for you. 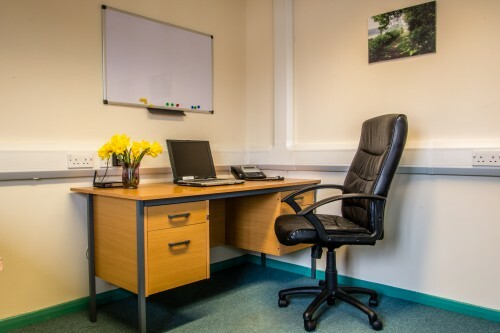 We offer 6 fully furnished offices to let on competitive easy in, easy out terms. 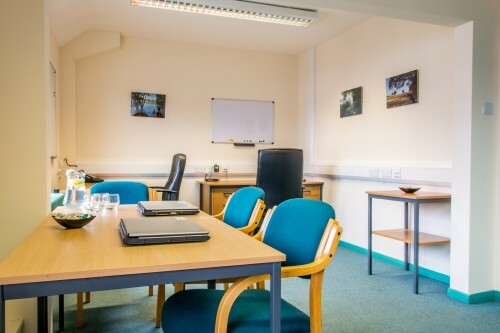 With ample parking in our high street location in the bustling market town of Watton we make renting an office stress-free. Not included: business rates, telephone calls and photocopying. Sycamore: A great starter office. This is a south-facing first floor office with a floor area of 69sq ft, it has space for one person. £285 pcm inclusive of all bills, except business rates. AVAILABLE 1ST JULY. To discuss our current availability, pricing and what we can do for you please contact Richard Otterway 01953 880204 or email richard(Replace this parenthesis with the @ sign)wayland.org.uk . One of the workspaces in our Beech office. I used to work from home but having an office in town with 24-hour access and with parking for me, my staff and visitors has allowed me to expand my business; it also means that when I shut the door at the end of the day I stop working, which is an enormous benefit to my work/life balance! In fact it’s worked so well that I’ve been here around 10 years.